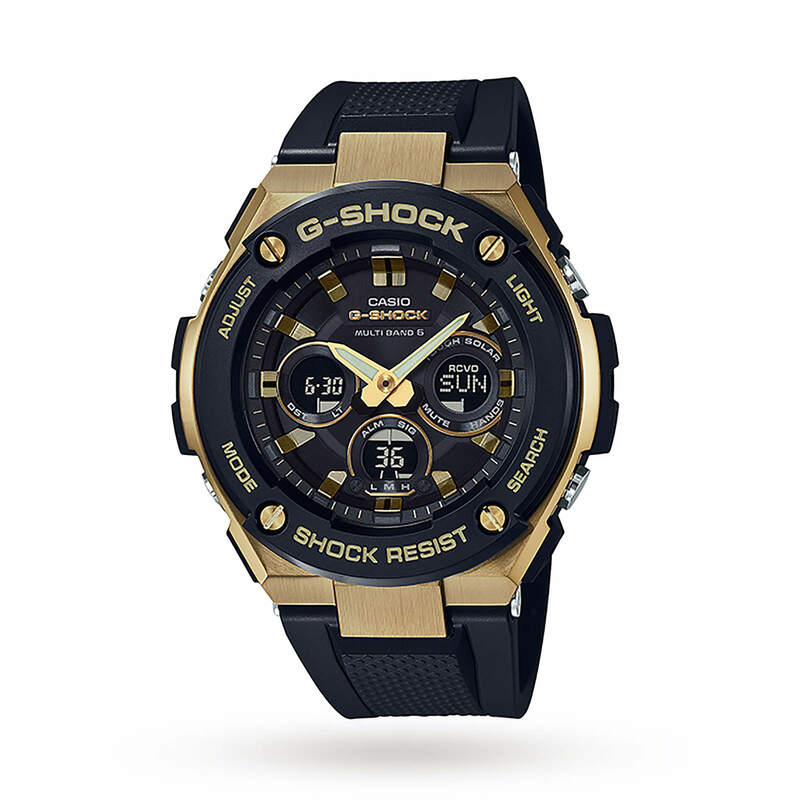 This new G-STEEL model with its Layer Guard Structure fusing different metal and resin materials introduces a compact size that expands the range of styling possibilities. 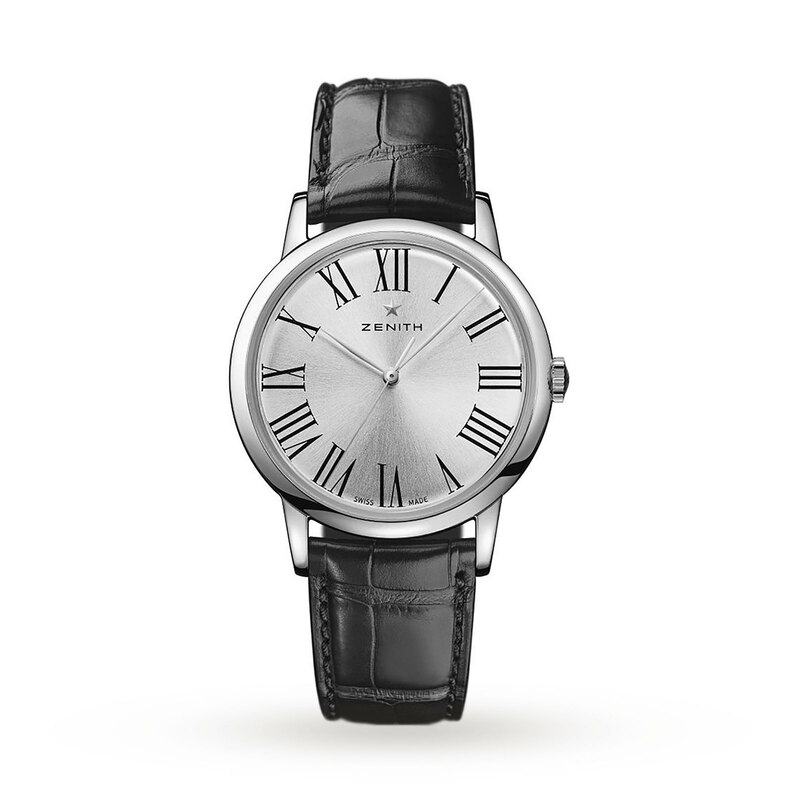 The dial’s visibility is enhanced by such features as dual Super Illuminator LED lights and a hand retraction function. 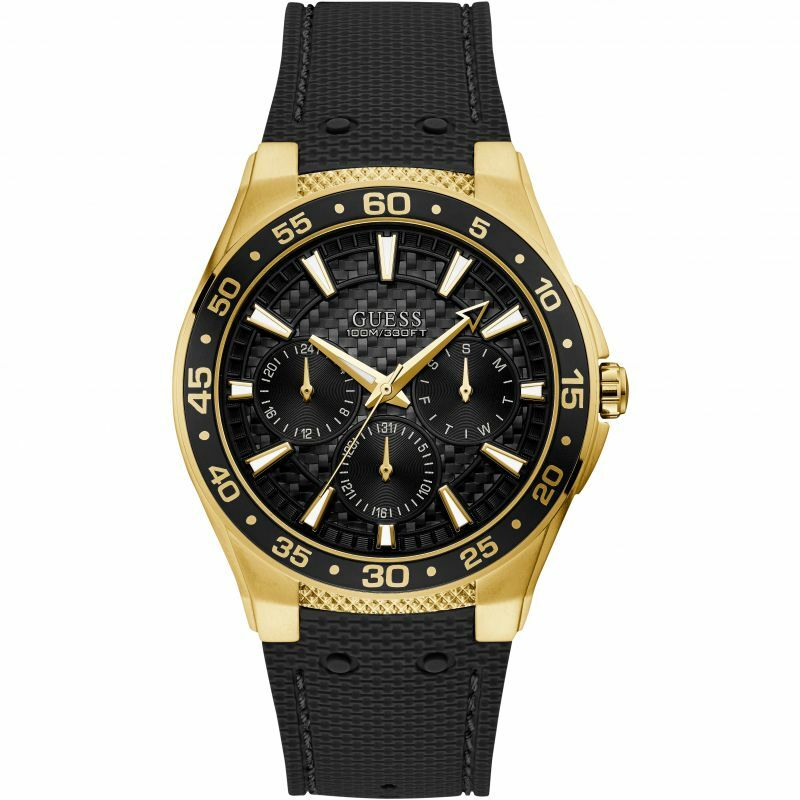 GUESS Gents gold watch with black trim, dial and silicone strap.